In my latest foray into product photography I decided to conquer bottles, which can be difficult to photograph because of their reflective surface. 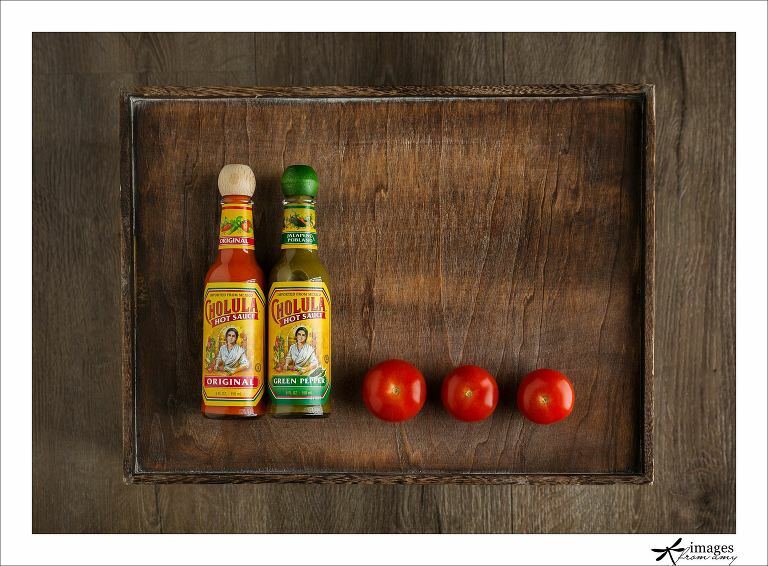 So I used one of my favorite condiments ever… Cholula. For the first image I set up three light… two in strip boxes on either side and an octobox overhead to light the labels. Then I decided to get some moodier light by using one gridded softbox camera right to get this image. 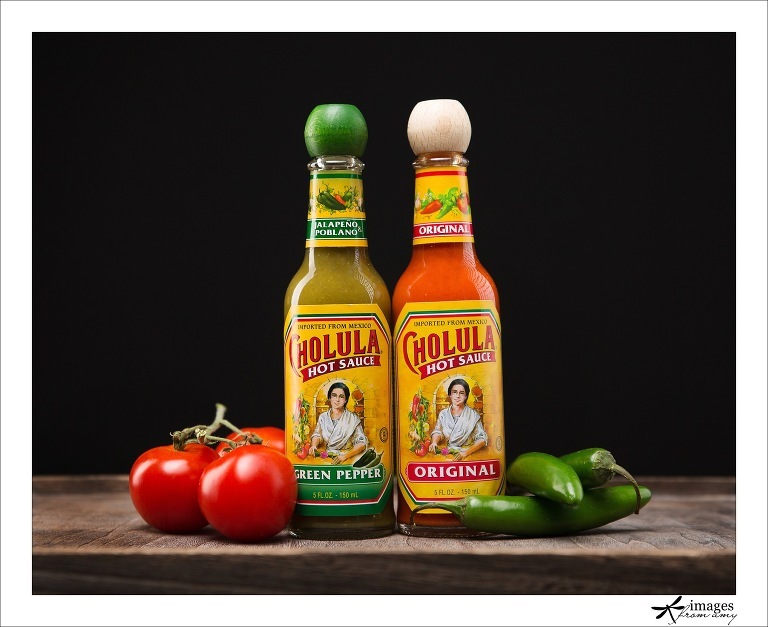 Using directional light like this can be difficult with product photography because you still want the consumer to be able to accurately read the label, so the front still needs to be fully lit.